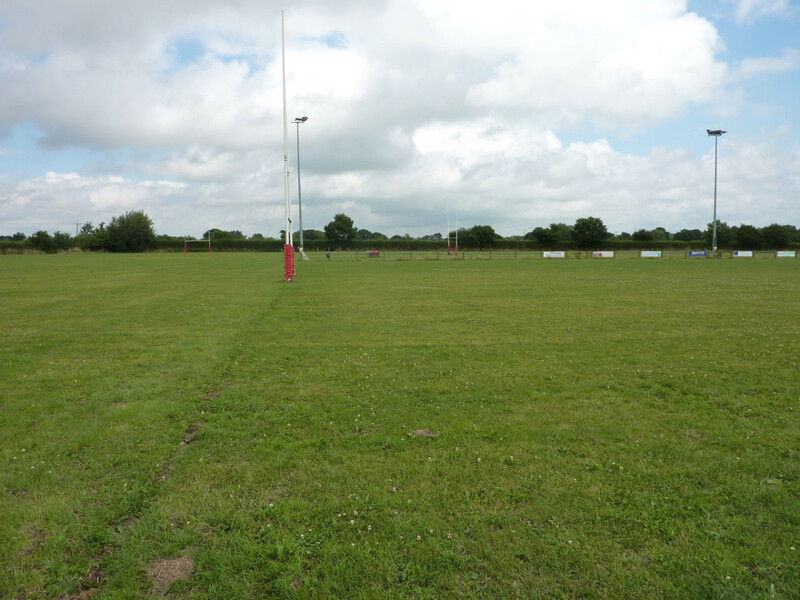 Berkswell & Balsall RFC was looking to improve the playing surface of its two main pitches to meet Rugby Football Union standards and to resolve the site’s drainage issues (problems had led to fixture postponements, affecting revenue streams and club morale). With Berkswell & Balsall RFC having secured a grant from Sport England (SE) – which was subsequently matched by the RFU – TTS was appointed to specify and oversee the project from Sport England’s list of approved consultants. TTS began by conducting an extensive survey of the entire site; taking into account its geomorphology and climate alongside the results of a topographical (levels) survey, electromagnetic inductance (EMI) scanning, analysis of proposed pitch layout and grading based on SE guidelines, soil sampling, a review of existing drainage infrastructure, agronomic assessment and the results of a Performance Quality Standards (PQS) assessment. Key issues identified as a result of the survey included significant compaction of the pitches’ sub-soil, topsoil containing a minimum of 49% fines which could affect drainage, and a lack of any formal drainage system or connection to the local surface water drainage system. To rectify this, the installation of a drainage system to serve both pitches was recommended, along with surface renovations to improve the playability of the pitches. As works would render the pitches out of action for a period of 12 months, TTS suggested that major works be completed on one pitch in 2014 with a view to it being back in action in summer 2015; with work commencing on the on the second pitch in early 2015 at the end of the 2014/2015 playing season. With an in-depth specification and schedule of works in place for the successful contractor, works commenced on the first pitch in early summer 2014 – Part A consisting of the pitch drainage and playing surface improvements; and Part B covering an initial 3 months’ agronomic maintenance following the major works. Part A began with the renovation of the pitch surface, including addressing the issue of soil compaction as highlighted in the initial survey. From this, the contractors took to installing the new piped drainage system needed for the drainage improvements, and connected to a new outfall and balancing pond at the north west of the playing field. 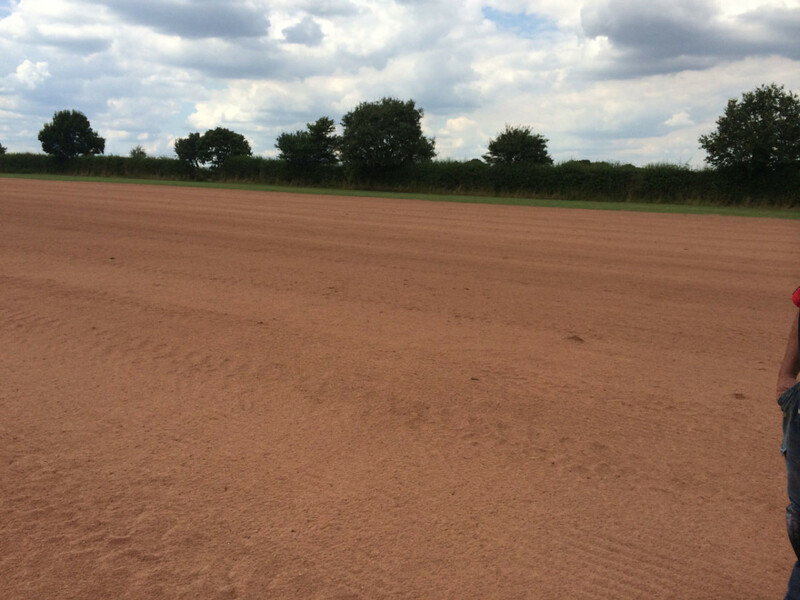 Finally, all unwanted arisings from the works were graded out on site and the field fertilised and seeded. Once the grass was mature enough, sand grooves grooves were installed at 260mm intervals to augment the piped drainage scheme. 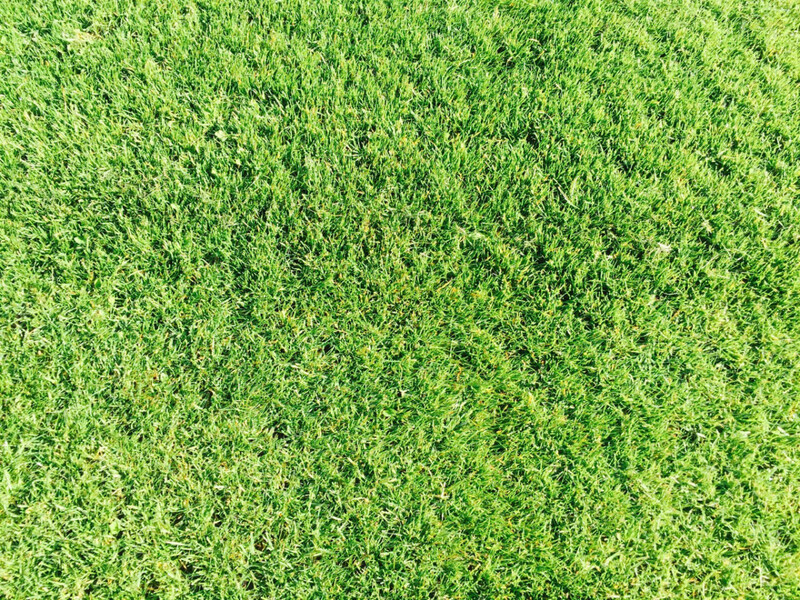 After allowing time for seasonal growth, the contractors undertook the requirements for Part B of the development, starting off with the initial mowing of the field and the application of fertiliser. This was followed by topdressing the playing surface with sand, some compaction alleviation in the soil, a selective herbicide application, and the control of pest and disease outbreak as required throughout the year.